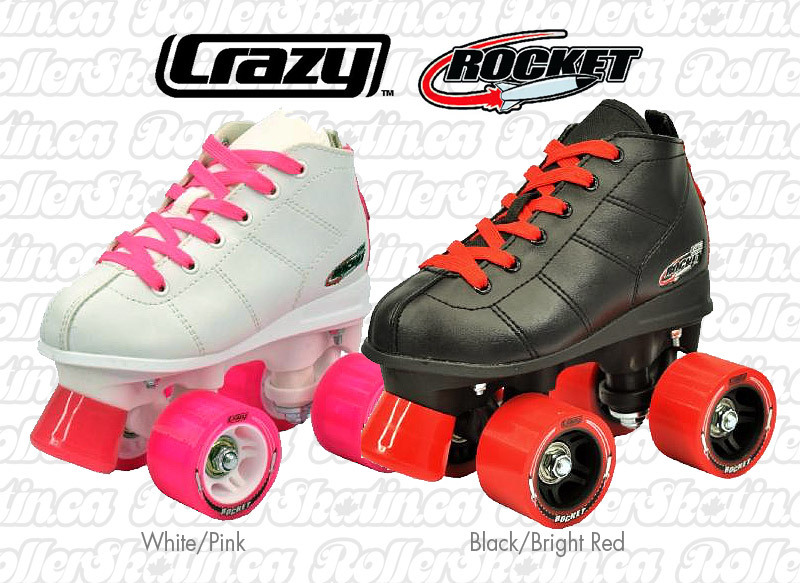 The CRAZY Rocket sets a new standard for beginner boys and girls quad skates! Built Aussie Tough! 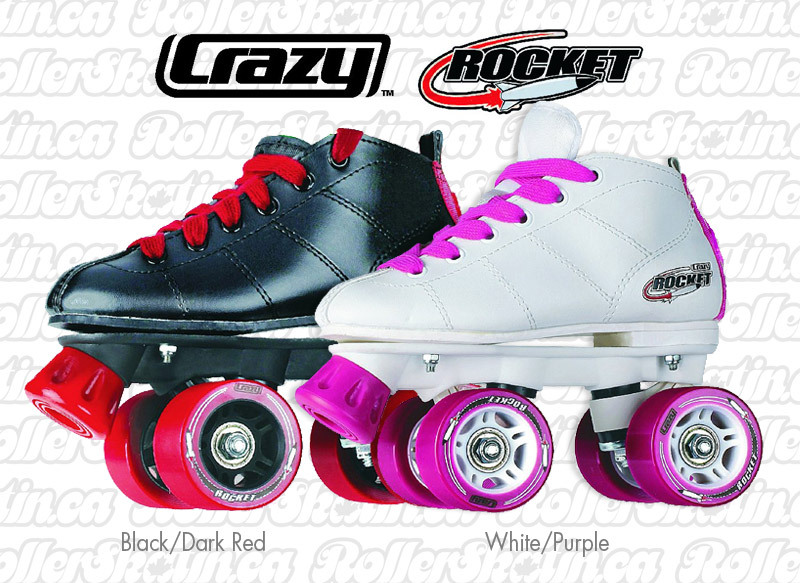 The ROCKET performs and skates like a real roller skate – not a toy, at a very comfortable price! The Rocket features a simple one bolt reverse kingpin for simple adjustments mounted to a durable yet lightweight nylon plate, non-marking urethane toestops and leatherette skate upper in a wide comfort fit – perfect for growing feet! The Rocket comes preassembled with 60x37mm real urethane wheels (not cheap plastic) with ABEC-3 8mm full precision bearings, which are suitable for both indoor and outdoor skating. Choose Pink/White or Black/Red in sizes Junior 10 all the way up to Ladies 7/ Mens 6 ! There are slight variations in sizes between all skate brands, so we have listed the length of the innersole next to each size above - Please measure the length of feet to confirm your selected size.